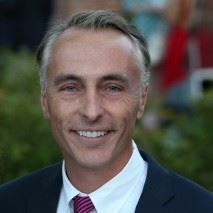 Kevin O’Hagan is a founding partner of O’Hagan LLC. After practicing at large law firms for 15 years, such as McGuire Woods and Locke Lord Edwards, he founded the firm to be a national boutique with an emphasis on personal customer service. He acts as lead counsel for several Fortune 500 companies and has tried cases in five different states, including the Delaware Court of Chancery, and has mediated cases in 15 state courts and federal jurisdictions. Kevin has also handled multi-district litigation and class action suits. He is licensed to practice in Illinois and Virginia, and has been admitted to practice pro hac vice in 10 other states. Chicago Lawyer Magazine, in its inaugural annual edition, recognized Kevin as one of the city’s Top 40 Lawyers under 40 to Watch and he was named a SuperLawyer by Chicago Magazine in 2005, 2008, 2009, 2010, 2011, 2012, 2013 and 2014. An accomplished attorney, Kevin’s many successes include recovering $9 million for a client on a construction defect and architectural malpractice matter, saving over $1 million a year in tax liability on an industrial complex for a client in real estate property tax litigation, and negotiating over 20 multi-million dollar contracts for clients in such areas as software licensing, technology purchases and various consulting services.